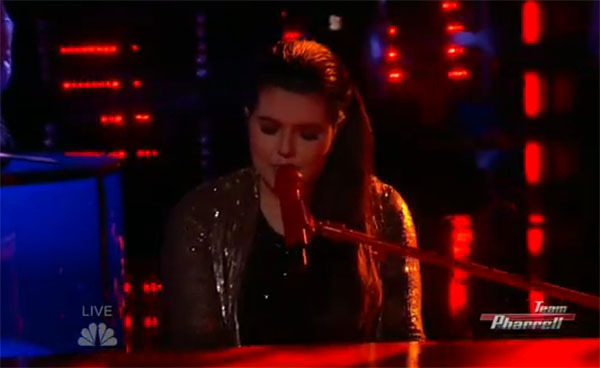 Madi Davis from Team Pharrell sings ‘Love Is Blindness’ on The Voice Season 9 Top 11 Live Shows, Monday, November 23, 2015. “I had no idea.. Im pretty shocked. 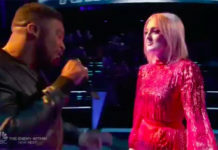 Everything you’ve done is so amazing,” said Adam Levine. “That’s the best performance of the night so far. 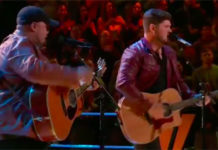 You connected with that moment, great job,” said Blake Shelton. 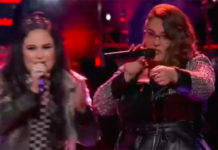 Did you like Madi Davis’ version of Love Is Blindness? Share your thoughts and views on the comment section below.